Another Bulls eye. Wow, what a game. 1st Place in the annual dart throwing competition. 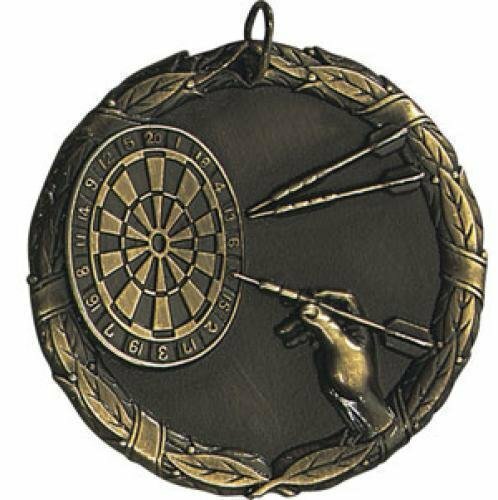 These dart trophy awards provide a great selection of options to present to the winners. XR Medals are classically designed in striking detailed and offers great quality. Available in many themes. XR medals are available in Gold, Silver & Bronze. Lots of action is packed into these Legend Dart Awards. The dart icons in the award are raised providing a 3-dimensional look. 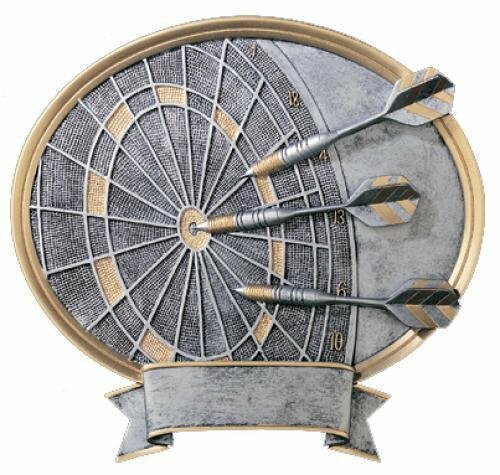 A large dart board with several dart sticking out at various spots on the board with one of them hitting a direct bulls eye complete the scene. This item can either be hung on a wall or placed on a desk using the included stand.